More than 150 eLife Ambassadors will work to catalyse improvements in the way science is communicated and performed. We are pleased to welcome representatives from six continents to the 2018 eLife Ambassador program. Working with eLife, Ambassadors will support the development and reach of initiatives ranging from encouraging the use of preprints to increasing the reproducibility of science, by leading conversations in their local communities, facilitating local discussions and connecting their communities with international developments. 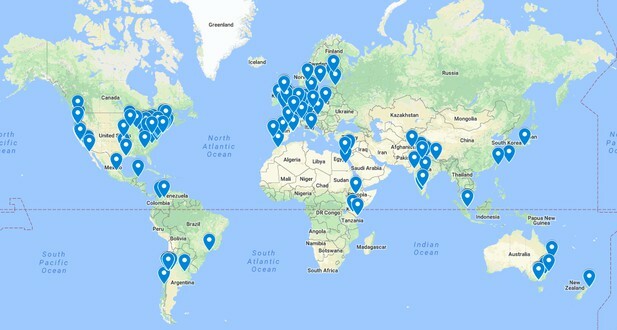 An interactive map showing the locations of our Ambassadors across the world can be viewed (here). In the coming months, we’ll be sharing some of the initiatives our Ambassadors are supporting. They can be followed on Twitter here.